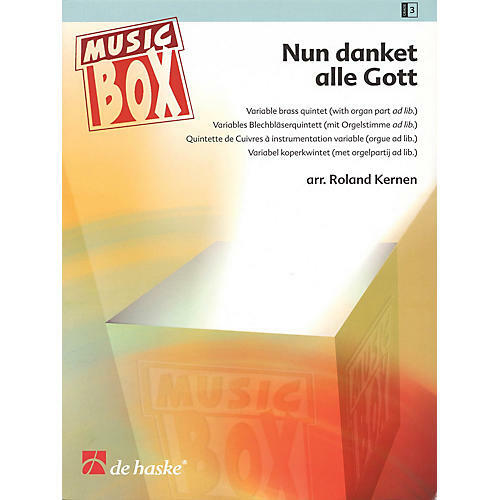 DeHaske Music Box series for variable brass quintet (Grade 3) The international fame of the chorale Nun danket alle Gott is due in part to J.S. Bach's cantata Gott, der Herr, ist Sonn' und Schild, which was based on this melody. This five-part arrangement by Roland Kernen is suitable for a variable brass line-up. An organ part is included (ad lib. ).